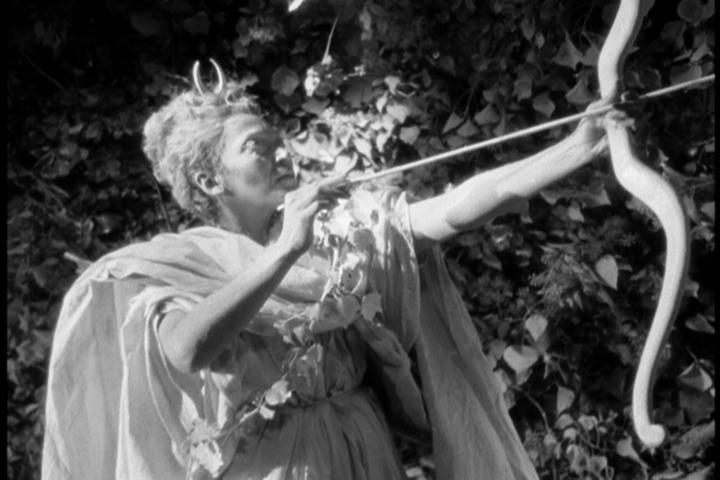 Romance and fantasy come to life in Cocteau’s fairy tale. This is the second year of the reduced number of nominees in the tech categories at the Oscars – Sound and Art Direction (the name finally changed from Interior Decoration) would have three nominees each with Cinematography and Special Effects only having two each. It’s the fifth year for the Golden Globes, but there are still no nominees and no distinction between Drama and Comedy – the films marked in red in my Globes section won the Globe. Analysis: A big drop-off from 1946, of course. But an even bigger one if you want to factor in that the top four films aren’t actually from this year. This was the year that the films from foreign markets finally started flooding in. Eleven of my Top 20 films weren’t originally released in this year; nor is that fully reflected in the number of foreign language films, as five of my top 14 are British films released in Britain in earlier years. And, again, there aren’t a great crop of Comedies (my Best Picture – Comedy winner is my #19 film of the year), so here are the films that follow, in order: Out of the Past, Gentleman’s Agreement, Miracle on 34th Street, L’Atalante, I See a Dark Stranger, Brute Force, I Know Where I’m Going, Brighton Rock, This Happy Breed, Boomerang, Torment, Shoeshine and The Devil’s Envoys. Analysis: It’s almost a coin-toss between Dmytryk and Jacques Tourneur for Out of the Past. This is Eisenstein’s only post-1929 nomination. Lean has more awards ahead of him at the Nighthawks than the other four have nominations. Analysis: Crossfire is the only one I haven’t read. A quick note here about Out of the Past. I wrote in several pieces about the blacklist and about the writer Daniel Mainwaring. He is not only the screenwriter for Out of the Past, but also the author of the original novel Build My Gallows High. Gallows is a very enjoyable Hammett-style mystery and well worth reading. Though I’ve read four of my top 5, I have seven other films on my list and have only read one of them: Brighton Rock (the rest of the list, in order: This Happy Breed, Boomerang, Brighton Rock, Ride the Pink Horse, Green for Danger, Crisis, The Bishop’s Wife). Analysis: It’s a credit to the writers branch that they would dare nominate Chaplin for such a dark comedy. This is the first film where Chaplin doesn’t win this category since 1928. Miracle actually won both the Original Story and the Screenplay awards at the Oscars. Analysis: Cherkasov, Colman and Howard are almost a tie. And none of them would have finished higher than 8th in 1946. So, yes, Howard couldn’t get a nomination in 1946 for a performance that would have won my award here, but here he finishes 3rd. Such are the breaks. 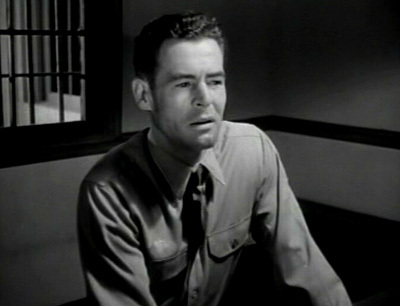 It’s a year of a lot of solid, but not truly great performances (followed by such performances as Gregory Peck for Gentleman’s Agreement, Robert Montgomery for Ride the Pink Horse, Burt Lancaster for Brute Force, David Niven for Stairway to Heaven and Robert Newton for This Happy Breed). Analysis: My top 5 performances (there are six because of the two from Kerr) are all from British films, all but Black Narcissus from earlier years. Kerr won the New York Film Critics for her two performances but couldn’t get an Oscar nom for either. This is the first time that no Oscar nominees make my Top 5, but it will happen again in 1985. Analysis: I list Art Smith as the better of two strong supporting performances from the hard-to-find, but quite good Ride the Pink Horse. The other, Thomas Gomez, was Oscar nominated (which is why I saw it in the first place) and is in 7th on my list. It’s well worth seeing. Frances L. Sullivan is always great, with his big booming voice and here is magnificent as Jaggers. 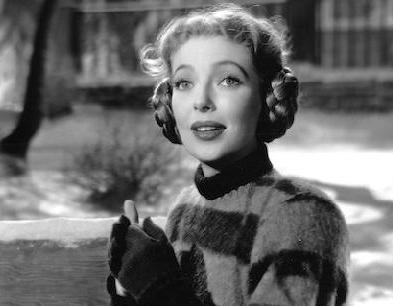 Analysis: Kay Walsh was the first actress that married David Lean. She’s very good in This Happy Breed and would continue to give strong performances opposite Alec Guinness in Oliver Twist, The Horse’s Mouth and Paths of Glory, but would never earn an Oscar nom. This is a category I changed after a long time – I always had Holm winning, but Grahame I now think is just that little bit better. Analysis: Again, I don’t get the Academy’s branch of Editors. You have to go all the way down to my #12 (Gentleman’s Agreement) before you get an Oscar nominee. Analysis: Much better choices than the year before – I’m torn by not being able to go with Great Expectations and my #1 color film is Black Narcissus (at #6), which won the color Oscar. Guy Green, who shot Expectations, would later become a director, as would Ronald Neame, who co-wrote and co-produced it. Jack Cardiff, who shot Narcissus, would also become a director, earning an Oscar nom for Sons and Lovers. Analysis: For only the second time since 1931, Max Steiner doesn’t have a single film on my list, though he actually earned two Oscars nominations (for Life with Father and My Wild Irish Rose). Chaplin, on the other hand, for the first time since 1926 fails to win (and back then he lost to himself). With 300 points, he is way behind Steiner’s 400. Analysis: A Double Life, the Oscar winner, is #9 on my list, the only nominee in my top 17. Analysis: The same as Cinematography – it hurts not to have Expectations at #1, but just look at the design on Belle. And both Oscar winners are great choices. Analysis: Zolushka is a Russian fantasy film. Analysis: “Zip”, is, of course, better than all the other songs combined. At least Disney’s need to not ever re-release Song of the South doesn’t extend to this wonderful song. Analysis: Well, this is tricky. Crab was only viewed once and then put away for years because the distributor went bankrupt. 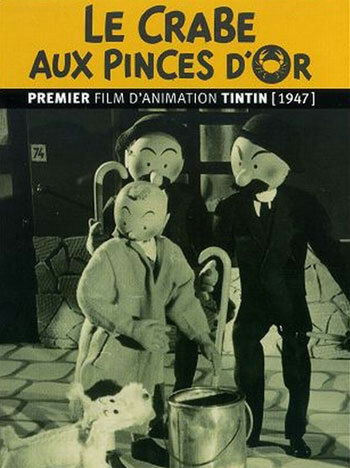 It’s a stop-motion film and a very faithful adaptation to the wonderful Tintin story (someday, I swear, I will do a For Love of Books post on Tintin). So, technically, it never got a US release and doesn’t belong here. But any feature film that didn’t get a US release I put in the year of its original release. By the way, even though the film was out of circulation for almost 60 years, it’s here on Youtube. Song of the South, of course, is in the vault and might always be in the vault. Why Disney won’t release it when it is no more offensive than Gone with the Wind and much less offensive than Birth of the Nation and it has the wonderful Br’er Rabbit story (and animation), I don’t understand. Fun and Fancy Free is a step up from Make Mine Music. Analysis: This is the final year before the Academy started giving out awards for Best Foreign Film. Shoeshine did win a special Oscar. This is the first of three straight wins for Italy. Analysis: 1946 was so dominated by seven films that only 19 films earned nominations. But here, there are 31 different films. Maybe the best example of how many Foreign films flooded into the country in 1947 is that there are Best Foreign Film winners from five different years than finally hit the states here (1934, 1942, 1944, 1946, 1947). And there are nominees from two other years (1933, 1945). 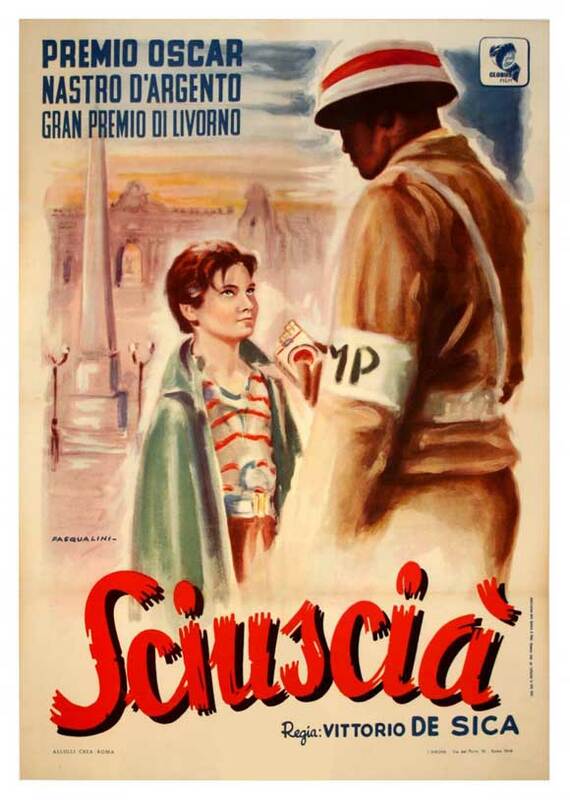 Analysis: The much lesser known Elia Kazan film of the year (behind his BP winning Agreement). A very good film that sits at #15 on the year but never got higher than 7th place in any category. Analysis: Winner of Best Actor at the New York Film Critics, Best Score at the Globes and nominated for 4 Oscars, including Actor. But to me, it’s just a standard, not that interesting drama, with not even that great a performance from William Powell. Analysis: Yup. Another one of those years where the Drama and regular categories match almost exactly. Analysis: Chaplin is replaced by Bergman in the last spot. A bit of a difference in a sense of humor there. Analysis: The Oscar nominated Peck makes it in here with Chaplin in the Comedy category. Analysis: No Russell (which is ironic because she won the actual Globe) because I don’t do six in the Globes. Why? Maybe because the Globes don’t do it themselves – they’ll happily nominate a person twice in the same category. Analysis: A very good, stark, dark film. My #12 of the year, with a good performance from Burt Lancaster (#8 in Actor) and Hume Cronyn (#6 in Supporting Actor). It was also #7 in Director. But it couldn’t get in the top 5 in any of the major categories, so no noms here. Analysis: None of these are anywhere close to great; they’re all low-level ***.5 films. But at least I have four films, which is more than the last three years combined. Analysis: Chaplin wins his sixth Best Director – Comedy award. The only person with even half as many points is Preston Sturges. Analysis: Chaplin wins his sixth Nighthawk Comedy award. No other writer even has six nominations. Analysis: Chaplin wins his sixth award (plus two nominations which he lost to himself). That gives him 490 points. The only other actors with even half that are Cary Grant (375) and James Cagney (245). Analysis: One of the worst Oscars ever awarded in the category of Best Actress, possibly the worst. Yet, it at least made my list, and as the only Comedy performance to make my list, she still wins my Globe. Analysis: A far better year than the previous two, but it will still take until the 50’s for the Comedy section to really recover. Analysis: Buñuel’s comedy is good, but not any higher than a ***. Analysis: There are far more films than in 1946 and far fewer rank below ***, so there’s a much higher average, in spite of not having a top 7 that’s nearly as spectacular. note: There won’t be another Oscar-nominated film I’m missing until 1949. But in 1948, the BAFTAs and the WGA will start appearing and there will be films there that I haven’t seen. Best Picture: A slight improvement on 1946, but very different. Only one film in the top 200, but no film ranked lower than #381. The five nominated films average an 86.4, the highest to date and the highest until 1972. Ranks #34 overall. The Winners: The overall score of 2.11 isn’t great when you consider that many tech categories only had 2 or 3 nominees. But in the tech categories the Academy did quite well – choosing the best of the nominees in most of them. It was in the major categories where they dropped the ball. Of the biggest six categories (Picture, Director, writing, lead acting), only in two of them did the Academy pick the right choice (Actor, Story). In the other four, they picked the 3rd or 4th, or, in the case of Original Screenplay, the worst. In fact, it’s the fourth time in five years they pick the worst in that category (and the other year I haven’t seen the winner). What was the writer’s problem? Overall, the winners ranked at 5.95, the worst since 1942, and in four of the categories the winner couldn’t make my top 10 (Original Screenplay, Actress, Editing, Sound). The Nominees: The nominees were just as bad. The overall score is a 53.3, the worst since 1938. The tech categories earn a 34.0, the worst since 1936. And it’s the first time since 1936 that none of the acting categories earned an 80. Eisenstein returns with greatness almost 20 years after Potemkin. 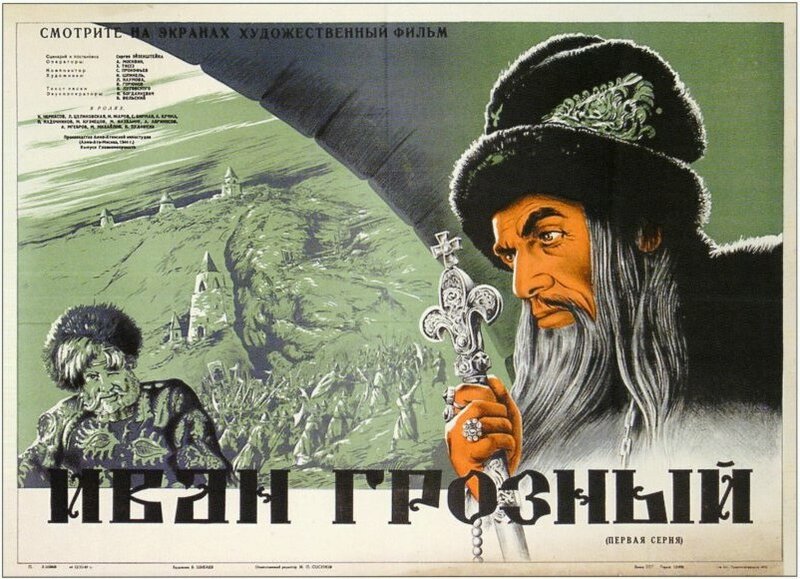 In some ways, the two parts of Sergei Eisenstein’s Ivan the Terrible (as well as the third part which was never completed) function as a Russian version of The Crucible; they are a way to discuss the present situation while couching it in a story of the past. We get great art, we get a fairly good history lesson, and we get an important insight into how we can view a current situation. In the historical story of Ivan, we get a look at a powerfully charismatic man who united his nation against the odds, and, in the second part (not released until 1958 due to state censorship), his drawing in of his power and eliminating his enemies. Both parts worked as the story of Ivan, but also as a parable of the Stalin era, of what he did to allow the USSR to survive, first in the days after Lenin’s death, then through the Depression and the War, but also reflects what he did to consolidate his power. But in some ways, the more comparable film is Olivier’s Henry V. Like Olivier’s film, this one was made to help rally the Russian people during the heart of the war. Both star charismatic actors as young rulers, both are insulted by a land that is both not theirs and, as part of a larger empire, belong to them (the tennis ball scene in Henry really is comparable to the knife scene in Ivan). Both rally their nations to war and win against the odds. Both films function as historical dramas and as war films, wars that were fought against long odds and yet prevailed to help build the current nations. Both have wonderful costumes, fantastic sets, excellent music (Eisenstein had the good fortune to work with one of the most brilliant composers of the 20th Century – Sergei Prokofiev) and first-rate cinematography. And both films are excellently directed and have a strong cast. Yet, in spite of the strong casts in either film, both films hinge entirely on their lead performance. Olivier’s is, in my opinion, the better performance, but in such a strong year, couldn’t get higher than third. Here, Nicolai Cherkasov, who was also quite good as Eisenstein’s Alexander Nevsky, gives the best performance of the year, holding together his power, holding together his kingdom and fighting to provide a throne for his son to inherit. It’s a magnetic performance. In some ways Eisenstein was the Soviet version of Orson Welles. He was so clearly brilliant and could do so many amazing things with film, yet budget and control was always a problem and in the end his output is quite small while his legacy is enormous. It’s like a really really bad Tarzan film. Or a pointless film made up of stock footage. Why have I seen this film? I can’t figure it out. It’s not directed by an Oscar-nominee; in fact, I’ve never heard of any cast or crew member. It wasn’t nominated for any awards, probably because it’s made without an ounce of talent on any level. It’s not from my Tarzan obsession – I rated it on Netflix back in early 2009, long before I watched the Tarzan marathon. What could have possessed me to watch such a terrible film? Well, lucky for you, I did watch it. That means I can implore you not to waste your time watching it. It’s badly directed, badly made, even more awfully written and you could drop Keanu Reeves into the middle of the film and he would out-act the entire cast. 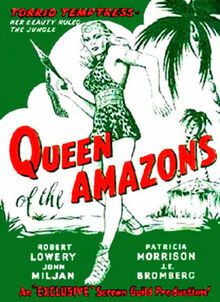 Robert Lowery and Patricia Morison deserve special mention because they are so unbearably bad in the lead roles; granted, no one could have been particularly good with the cliches being dropped every other line, but still, I expect a human being in the cast, not a piece of wood. The main problem is that this film seems to primarily exist to make use of a large amount of stock footage (and not even that large of an amount – the film clocks in at sixty minutes and they put in too much of the stupid plot; they would have been better off constructing a nature documentary with the footage). Ed Wood used to do that – he would take stock footage and construct a film around it. But the joy of Wood’s films was that none of the footage really went together so nothing ever made any sense. And Wood never compounded his mistakes by adding pathetic generic (and by generic, I mean what is now considered racist) African caricatures. This film is in the public domain and you could easily find it online and watch it. But you could also just bang your head on a door. And besides, the brilliant Lon Chaney Hunchback of Notre Dame is also in the public domain. Go watch that instead. Analysis: There are finally more Comedies and Musicals, but they aren’t any better than they had been. The biggest difference is the Foreign films – 20 is the most since the first year where I threw a dozen years together. 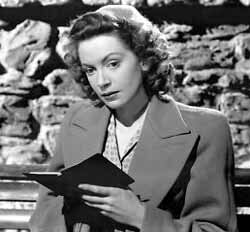 And Film Noir comes into full force, with Suspense films hitting double-digits for the first time. Every studio is within two films of the number I’ve seen from them in 1946, with one glaring exception. In 1946 I had seen 10 films from Universal. In 1947, I’ve seen 17, by far the most I’ve seen in any year from the studio. 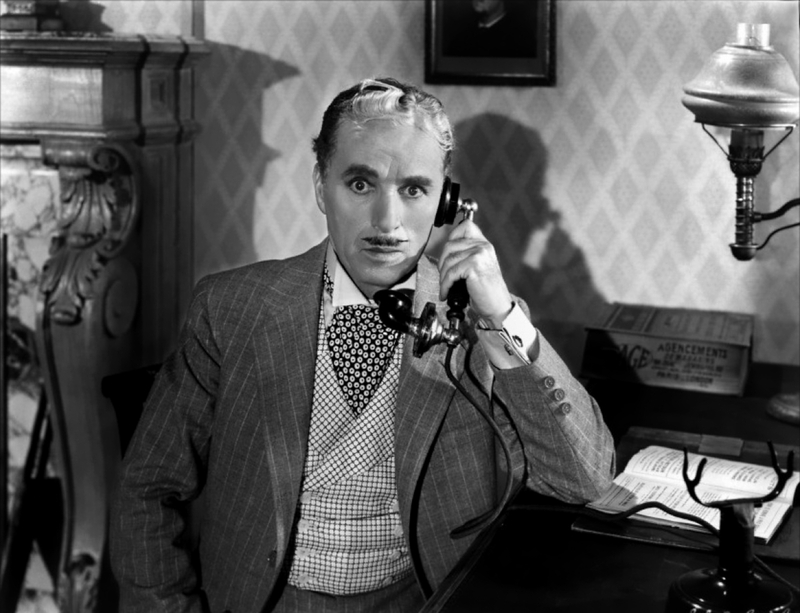 The main difference is the development of Universal-International, which starts being the releasing arm in the United States for many British films, including Oscar winners Great Expectations and Black Narcissus, as well as Nicholas Nickleby, the first of many Ealing films to be distributed in the States by Universal. With so many Foreign films, many of them not distributed by major studios, the majors only account for 85 of the 113 films I’ve seen, the lowest percentage since 1930. Of the majors, Paramount divebombs (61.7 average, lowest since 1934), but 20th Century-Fox flourishes (70 average, highest since Murnau’s death in 1930) as does Universal (not only its most films ever, but its highest average since the Golden Age of Horror). As a result, three of my Top 10 films are distributed by Universal, as many Top 10 films as Universal had from 1937-1946 combined. In fact, with the top 20 dominated by Universal (5), 20th Century-Fox (3) and RKO (2), as well as various Foreign distributers, a number of studios have no Top 20 films for the first time in a while, including MGM (1941), Warner Bros (1934) and Paramount (1926). Note: There are four films from France, the first time I’ve seen four films from one country in a year since before the war. I also have my first films from Belgium and West Germany. The 16 is the most in one year since 1933, but it will pale in comparison to all the years coming up. Note: Another year, another Nighthawk winner for Best Picture from a different year, as well as six of the Top 10 and 11 of the Top 20. 1947 really does benefit, as only one film below would have made the Top 20. Note: It Always Rains on Sunday is far and away the best film on this list, and it will make the Nighthawk Best Picture lineup in 1949. I agree with other commenter about Kathleen Byron’s performance. 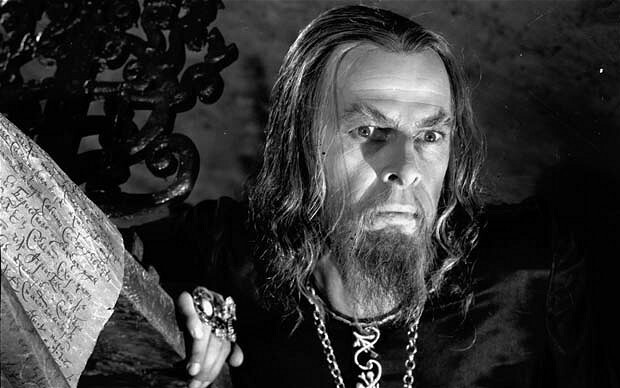 Contrary to you I lack the enthusiasm for Ivan the Terrible. Though magnificent in cinematography I find the acting wooden and exaggerated (like in silent movies) and this is well into era of talkies. 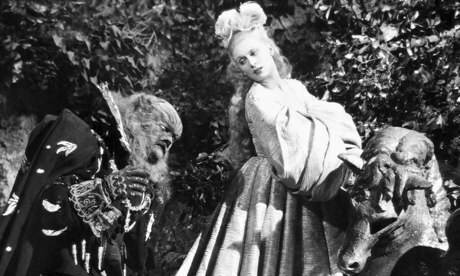 Belle et la bête is the best film. But you have no mentions to Odd Man Out. I would put this movie among my top 5. Despite the critics to the excesses of some characters or scenes, don’t you think its great score, cinematography and editing deserved nominations? Crossfire is excellent. I had never heard of it before your Best Picture project. Am rewatching ‘Miracle on 34th’ for the holidays. Count me beyond stunned that you class it as a drama. Should Song of the South actually qualify for Best Animated Film? Current Oscar rules require at least 75% of the film’s running time to include animation. I don’t think that the animated and partly-animated scenes in Song of the South make up even one-third of the running time. Is Brighton Rock confirmed to have been Oscar-eligible in 1947? Some of the sources I’ve found indicate that it didn’t play until 1951 for the U.S. and 1948 for the U.K.